Coming off the terror of space as seen on the big screen in recent films like Gravity and last year’s alien-infused thrill ride Alien: Isolation, finding yourself thousands of miles away with no help or salvation is a feeling like no other. 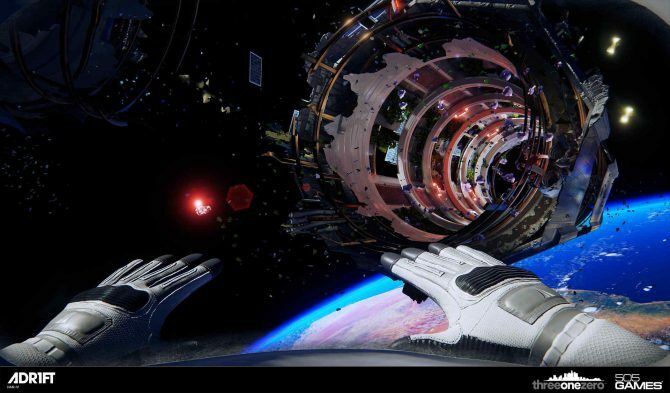 In Three One Zero and 505 Games’ upcoming title, ADR1FT, that feeling is going to be amplified even further in a harrowing experience. 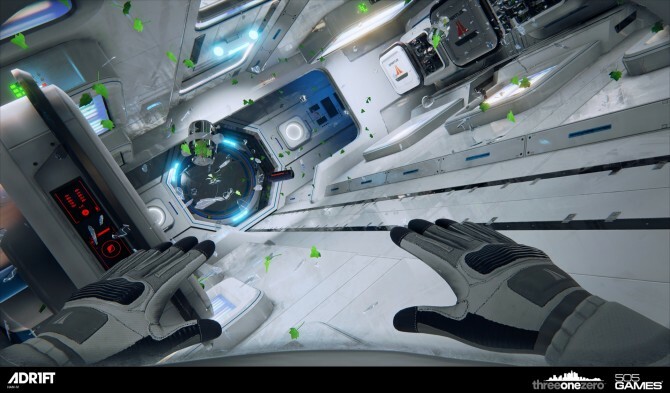 While attending last weekend’s PAX East 2015, we had the opportunity to attend a special off-site preview event for a look at ADR1FT, showing premiere footage and gameplay of the title following its reveal at last December’s The Game Awards. Hosted in the confines of the AMC Loews Boston Common 19 movie theater (along with popcorn and soda to boot), seeing it on a big movie screen lent itself naturally to the experience at hand, where players are put into the role of an astronaut caught in the most terrifying of circumstances — stranded on a damaged space station with a space suit leaking oxygen and little in the way of help provided. Demoed by Three One Zero’s creative lead Adam Orth, we had the chance to watch a short 15-20 minute gameplay session with the title played on a movie theater screen using the PC version. As it stands, the experience of viewing it on a big-screen was more than just a “wow factor” — it truly added to the game’s clearly cinematic inspirations, and most of all, to the immersion that the developers are hoping to achieve with their title. 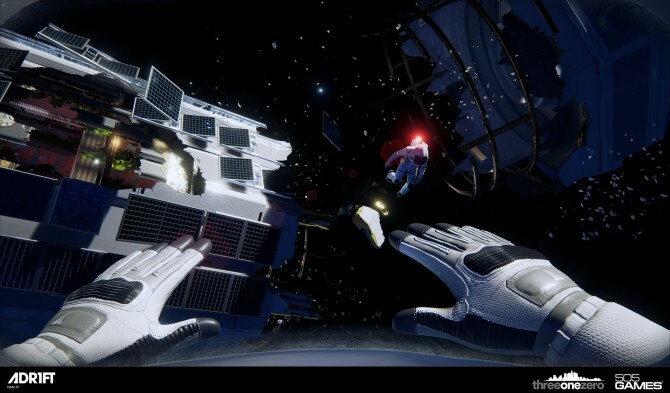 While many bill ADR1FT as “Gravity: The Game,” its clear inspirations from recent films that explore the terrors of space are only skin-deep. With the demo showing that there will certainly be more at play in the experience, Orth detailed it to be “about four hours” as a $20-$30 downloadable title. Setting players in the confines of a damaged space station, players are put into the suit of an astronaut looking to explore the station’s remains, and most importantly, find a way to escape and safely arrive back home. While the demo only showed a brief segment of the game and that mystery will remain to be seen, the clearer danger comes from the EVA suit leaking oxygen, providing a constant need to explore and find floating oxygen canisters to keep yourself alive and floating safely, with strangulation a constant, looming threat. 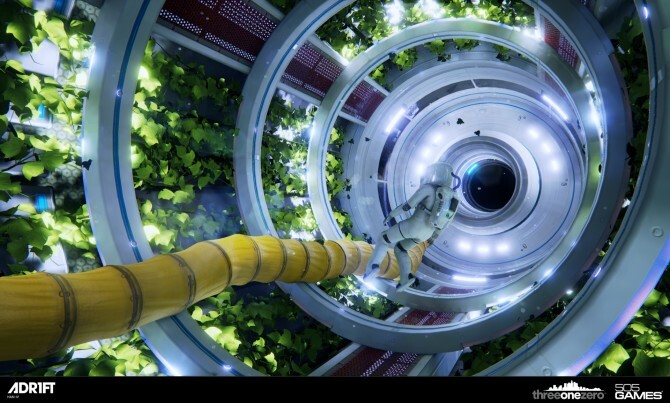 Make no mistake about it, ADR1FT will keep you moving, despite the temptation to witness the truly spectacular landscapes and views from space available. The balance between terror and beauty is one constantly present in ADR1FT. As Orth described games such as Mirror’s Edge, Half-Life, Journey, and Proteus as big inspirations, the minimalistic designs of the space station compared with its vast, expansive reaches of space were a sight to behold, regardless of being on a giant movie theater screen. As players slowly drift in zero-gravity from point to point, being aware of your surroundings seems vital to staying alive, not only in being on the prowl for nearby oxygen tanks to sustain life but also for other interactive elements within the environment such as audio logs from previous crew members. This is to not only gain helpful survival tips and clues, but to also fill in the story of the space station and what has been happening. 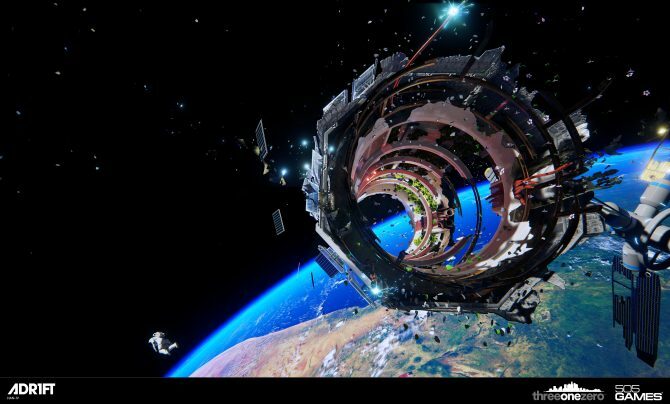 In a visual and aural sense, ADR1FT is astounding. Even with the benefit of a large screen to view it on, Three One Zero’s title was a joy to take in with incredibly detailed environments that were worth exploring and investigating further (if only the threat of suffocating weren’t an ever-present danger). Despite this, the demo we witnessed showed a good amount of variety in the environments that players were taken through. Starting in one of the cabin areas of the space station, the demo soon led us through what looked like a greenhouse/oxygenation area where the stark whites and blacks of the cabin erupted into splendid bursts of greens, pinks, and colors. Though the space station is as derelict as those in Alien: Isolation and Dead Space, it still retains a poignant beauty even amidst all its destruction. Later on past the greenhouse area, players were led into the confines of open space in easily one of the most terrifying sequences of the demo — floating between two segments of the space station, with the threat of open space all around ready to engulf players with a misstep or false move. Combined with the game’s stellar visual presentation, the feeling of lightness and zero-gravity is amplified even further by small visual details and especially by the game’s audio and sound effects. As players get too close to doorways or spaces, light bumps will shock the character momentarily, as does the increased panic breaths of the player character as oxygen begins running low. Even worse is when oxygen levels get to dire levels and the character’s vision starts blurring, leading to intense struggles for one last gasp of oxygen. 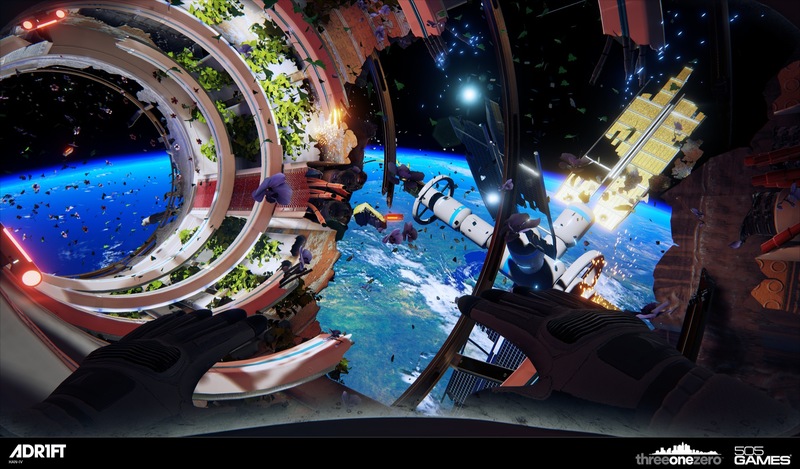 Where similar titles made encounters in space with extra-terrestrial creatures terrifying, ADR1FT (so far) makes space itself terrifying. With the looming and ever-present lack of oxygen driving players to keep moving and find salvation with a last gasp of breath, the dev’s presentation showed their upcoming title as one that seeks to provide an “experience,” as they themselves called it a “first-person experience” above all else. With Orth and the development team focused on providing a game that they “want everyone to be able to play,” it already shows a great deal of promise in a short time span. Orth mentioned during the screening event that the game has only been in development for less than a year, with only a few months left to go. With the title currently targeting release this summer, there is still much that remains to be seen of where exactly Three One Zero’s upcoming project will take us. While space is the obvious destination, Orth only hinted at some of the larger mysteries that the game will hold, with audio logs clearly hinting at a larger story, and Orth promising a “unique game-wide puzzle” involving music that will permeate the experience. Though the length of the game is said to aim for a short three-four hours, the development team is intending the title’s length to add to the experience, with Orth hinting that they are aiming to “make going back worthwhile” for repeated runs. As Gravity and Interstellar have shown the majesty and grace of space while Alien: Isolation has shown its sheer terror, ADR1FT shows a title that’s aiming to fit somewhere in-between. Though we’re still several months away from release, what Three One Zero and 505 Games demonstrated during PAX East is no less compelling thanks to an impressive demo that shows this as one of this summer’s titles to keep an eye out for. 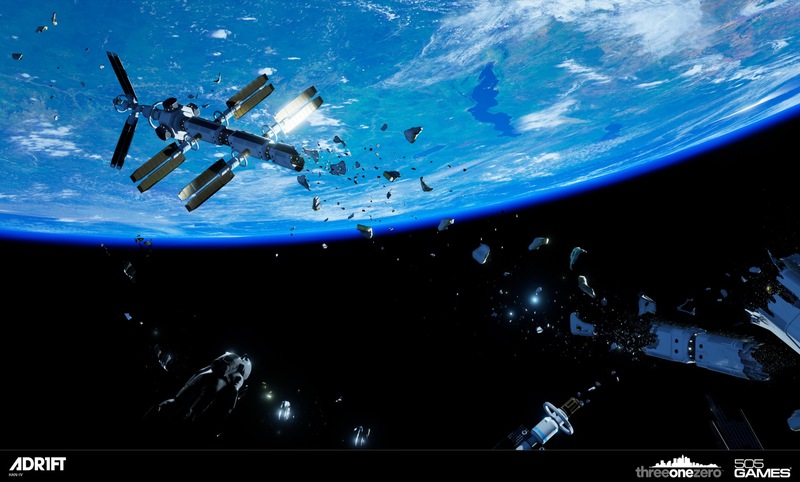 Space may be a popular setting and topic as of late, but from the experience we had the chance to see, ADR1FT is beautiful, terrifying, and sure to leave you breathless. 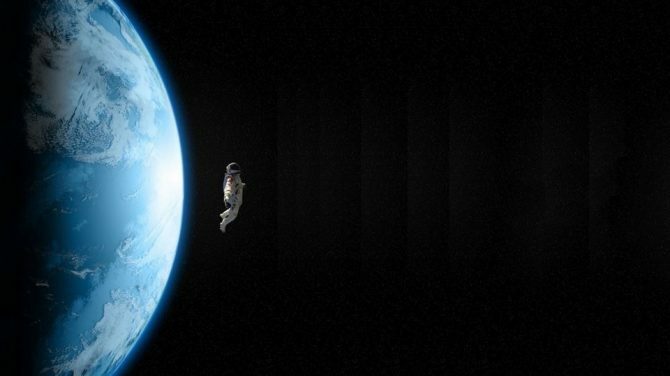 ADR1FT is currently set to release for PS4, Xbox One, and PC in Summer 2015. Images and screenshots provided by Three One Zero/505 Games.